Two years ago the English-speaking internet world was shaken by the news that Japan’s most beloved animation house, Studio Ghibli, would be closing its doors for good. The story, which originated from a fan blog and was picked up by a variety of more reputable outlets that should’ve known better, quickly proved to be erroneous — the product of an overzealous translation of remarks made by one of Ghibli’s co-founders, producer Toshio Suzuki. Yet it wasn’t so clear what Suzuki had meant when he talked about the company taking a “break” from anime production following the release of Hiromasa Yonebayashi’s 2014 film, “When Marnie Was There.” With the studio’s one surefire box-office draw, Hayao Miyazaki, now officially retired and its staff of full-time animators disbanded, did it even have a future? 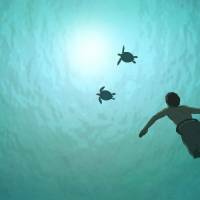 “The Red Turtle” offers an answer to that question, though it’s a potentially misleading one. The first film since 2014 to bear the Studio Ghibli imprimatur is an outlier in the company’s oeuvre: an international co-production helmed by a Dutch director, animated in France, and delivered entirely without dialogue. The director in question is Michael Dudok de Wit, whose elegiac, Oscar-winning 2000 short, “Father and Daughter,” inspired Suzuki to approach him a decade ago about making a full-length feature. The resulting film may be the least obviously commercial thing that Ghibli has ever released, but it’s also one of the most universal — an elegantly simple tale with the purity of a tone poem. Watching it, I kept wondering which country’s folklore had yielded this strange, lyrical story. (Turns out, it was actually Dudok de Wit’s own creation.) A young man left marooned on a desert island after a ferocious storm attempts to escape on a series of improvised rafts, but is foiled each time by the eponymous turtle. Yet when he’s given a chance to exact revenge on this mysterious creature, it transforms into a beautiful woman and joins him as a companion on the island. 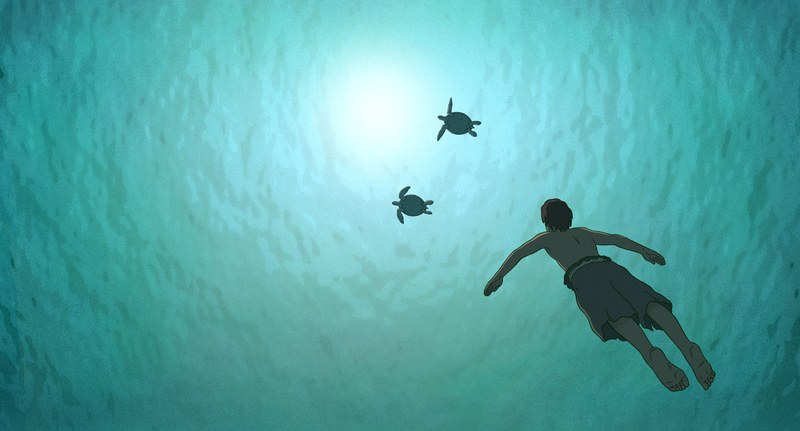 There’s no obvious metaphor here, but as a portrait of humanity’s relationship with nature, “The Red Turtle” is pretty engrossing. It depicts a natural world that’s capable of both beauty and cruelty: The storm in the film’s opening scene rages with real violence, but it’s trumped by a display of nature’s destructive force later on that’s likely to hit Japanese audiences particularly hard. Dudok de Wit tells his tale in deft, economical strokes, without adding superfluous detail. The film does get a little episodic in its second half — there’s no shortage of incidents, but only in the closing minutes does its central story come back into focus, culminating in a final scene that’s achingly poignant. Only very occasionally does the decision to eschew dialogue risk shading into contrivance. At the same time, it unshackles the film from any specific era or context, letting it float within the realm of pure myth. The setting is also ambiguous: though partly modeled on La Digue in the Seychelles, the island is blanketed with bamboo, like a Kyoto forest transported to the Indian Ocean. While it’s probably not going to appeal to viewers hoping for another “Ponyo,” “The Red Turtle” sits more comfortably within the Ghibli canon than some of the pale offerings by would-be Miyazaki heirs that have come out over the past decade. Dudok de Wit mines some of the same emotional territory as Miyazaki and Isao Takahata — that combination of wonder and yearning — without aping them, and Laurent Perez Del Mar’s score swoons as emotively as anything by Joe Hisaishi. Whether the film sets a precedent for further international collaborations, however, remains to be seen. At a recent screening at the Foreign Correspondents’ Club of Japan, Suzuki said they’d approach things on a case-by-case basis: Dudok de Wit, he said, was “special.” He’s got that much right.